Now You See Me – Now You Don’t! One of the most charismatic animals of the rainforest is definitely the river otter. These animals, related to the weasel family, live in large family near rivers and streams where they form social groups of up to fifteen individuals. 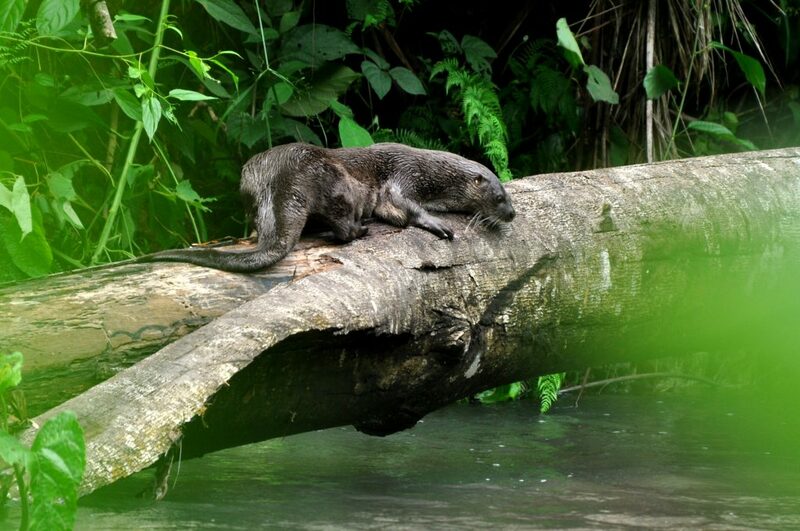 Otter in the Piro River, Photo Credit: Manuel Sánchez. River otters can also be found in bodies of water that lie close to rivers, such as estuaries and beaches with rock formations. They are active from early hours of the day and until the evening, spending most of their time swimming in search of food and socializing . But if they are so active, why are they so hard to see? Otters have an extraordinary sense of hearing and sight, so when any noise or movement are detected by their senses, they quickly hide, protecting themselves from a potential predator. For us, river otters are very important because they are indicators of the health of rivers. The animals that form their diet ( crustaceans, snails and fish ) need a very good quality of water to survive, so if otters are present in a river we can therefore be sure the water is of a good quality. 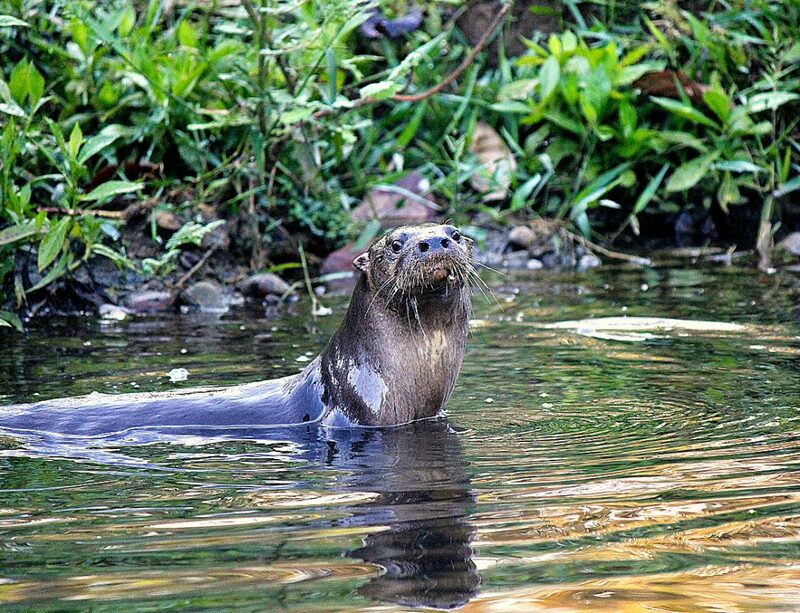 For this reason, Osa Conservation has a program for monitoring otter populations in the Piro and Coyunda river – rivers that are both within the Osa National Wildlife Refuge. However since these animals are so elusive, and it is rarely possible to see them , how can we the study them? 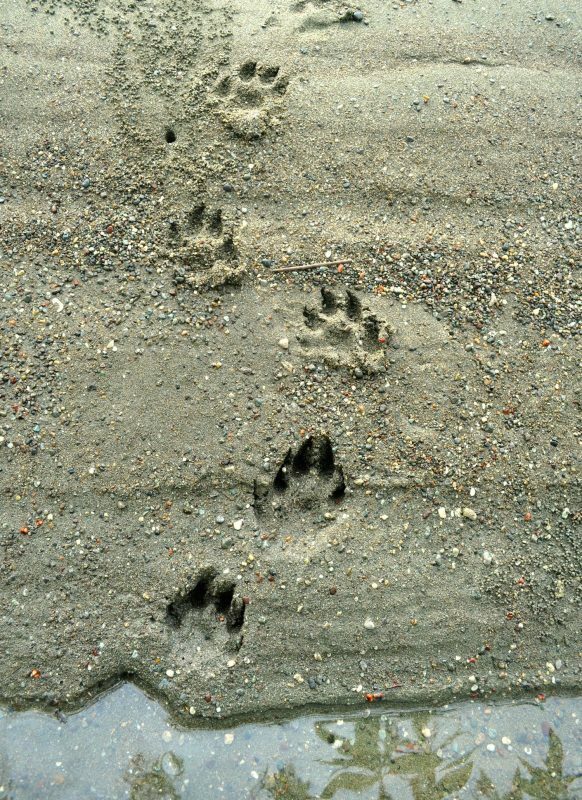 Fortunately otters, much as other terrestrial mammals, leave their signs of presence on the ground even though we do not see them in person. This includes markings like such as footprints or their feces, and they would be found in areas adjacent to rivers and beaches where otters frequent. Otter tracks on Piro River. Otter droppings atop a rock by the Coyunda River. Once a month we walk upstream from both rivers looking for for tracks and feces, recording useful data such as the location of the sample, vegetation cover, proximity to water bodies, and position. All this is done in order to use the information for relative abundance but also to learn about preferences for resting, burrow construction sites, habitat use, and in general what areas are most important to them. Tracks are perhaps the most common signs, however feces are also important, but not easy to find. 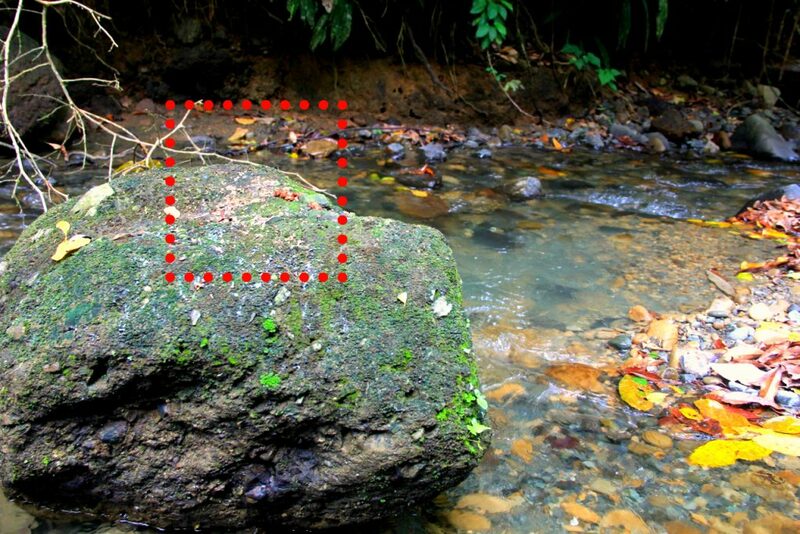 Otters use their feces as methods to mark their territory so they do not defecate directly into the water, but on logs or rocks along rivers, so these are some places where we have to search extensively. 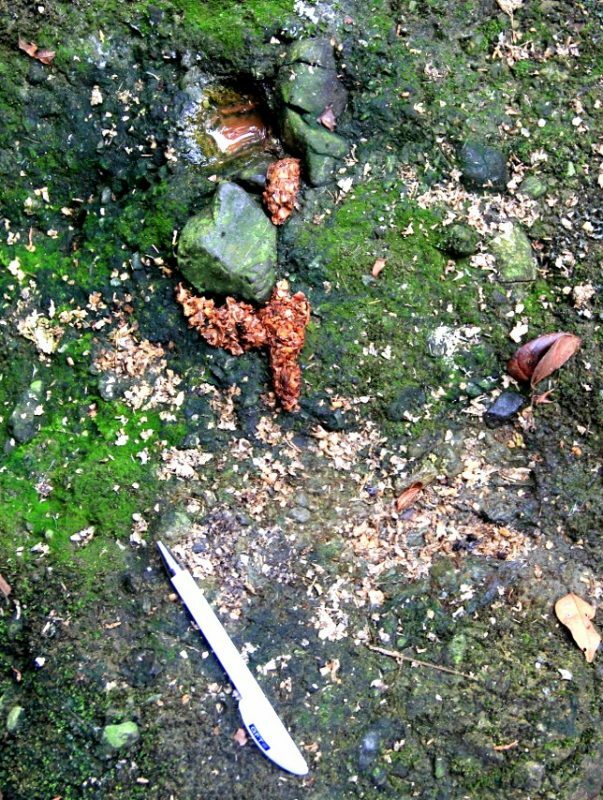 Droppings left behind by an Otter atop a rock by the Coyunda River. A pen is placed for size reference. Knowing more and more of the river otters and what are the most important areas for them , their diet and social organization we can make better conservation actions, especially knowing how important they are for the ecosystem and as indicators of their health. Otter resting on a log along the Piro River. Photo Credit: Juan Carlos Cruz.